Are you a “visual” reader? Do you picture the characters and settings in your mind while you read? Does the hero look like your favorite actor and the villain look like that guy with the scar in that movie even though no scar is mentioned in the book? Many readers do which is why entire forum threads are dedicated to nominating actors to play characters for books that get made into movies. But I’m not a visual reader or writer. I don’t care what the characters look like. I don’t care what sort of trees are in the forest or if a chair is red or pink or polka dot. But this stuff is important. So not being a visual writer, I often choose an image to work from. Here’s where pictures of houses, interiors, villages and actors come into play. For The Witchblade Chronicles books, Honor Bound and Kiss Of Ash, I started with an actor in mind and then found the right image to convey that character’s looks AND personality. Sir Nicholas Merritt, the hero in Honor Bound, is boyishly charming. Women love him but he has a deadly serious side that he doesn’t let many people see. 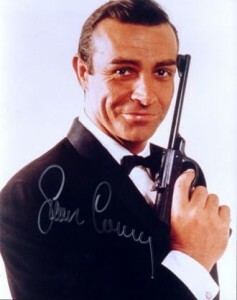 A young Sean Connery in the James Bond movies had just the right combination of charm and devilry. 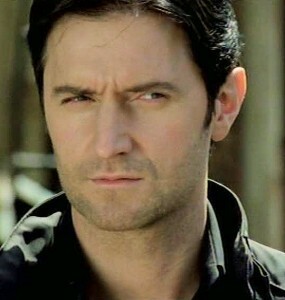 The Witch Hunter in Kiss Of Ash is based on Richard Armitage’s character in North and South. Dark, mysterious, brooding with a bad reputation. He might get his own book one day, if I can find the heroine to match him. Sometimes my descriptions deviate from the image at hand but the pictures always help when I get stuck.